I thought that I’d go for an easy book this week. I wanted one that I could skim through and move on. What can I say – I’m still in summer vacation mode. 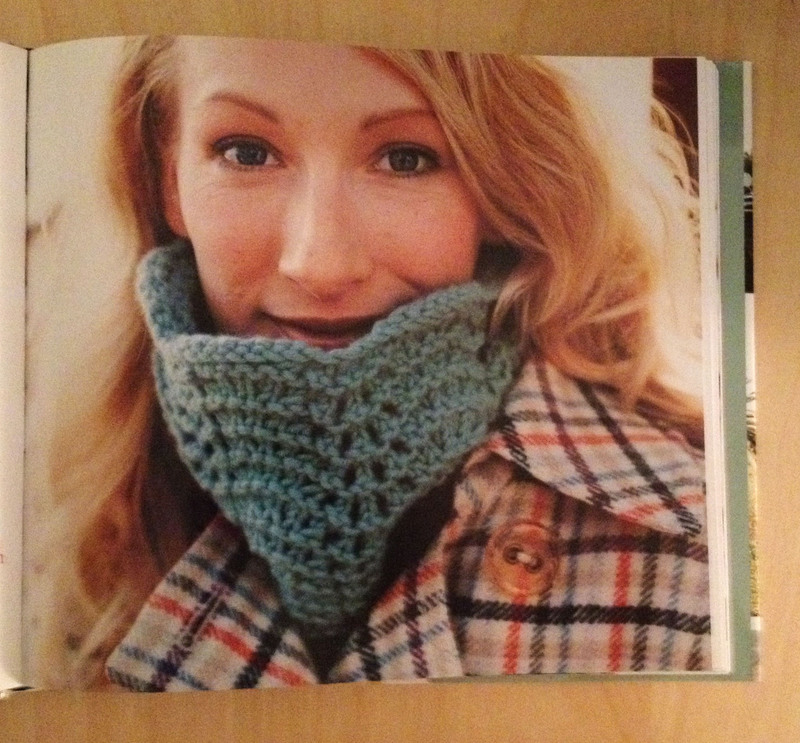 What did I decide about Knitting Beyond Scarves: Thumbs down! 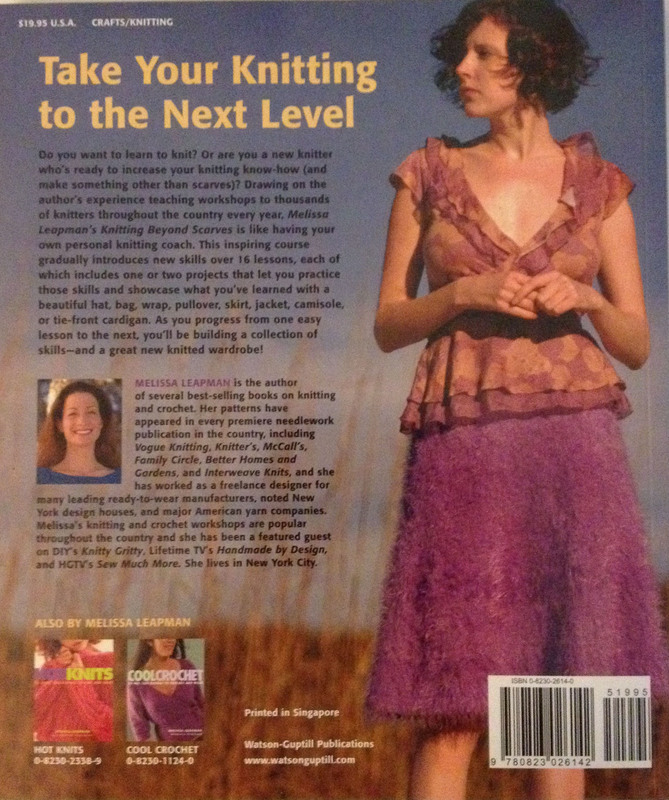 The back cover says it all: Take Your Knitting to the Next Level. 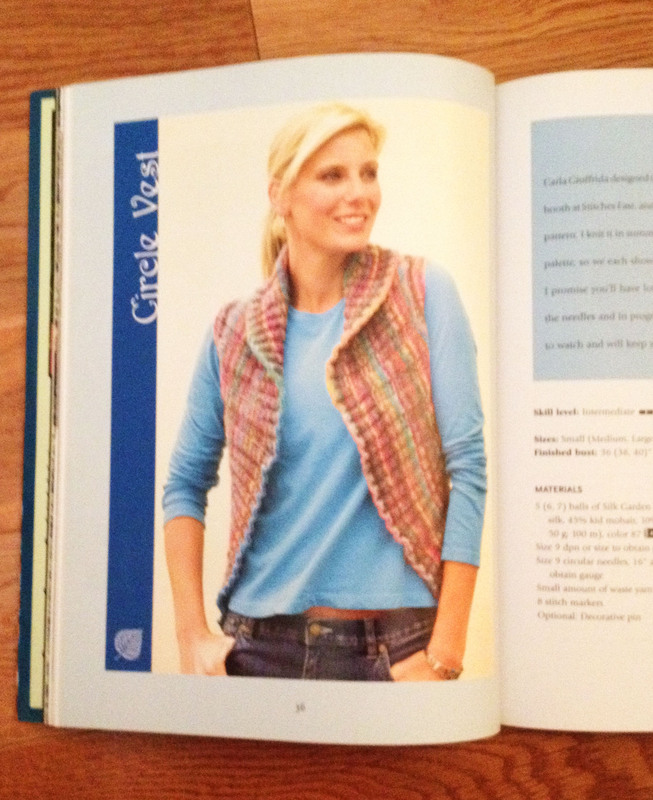 Actually the book starts out with all the basics – casting on, the knit stitch, and binding off. 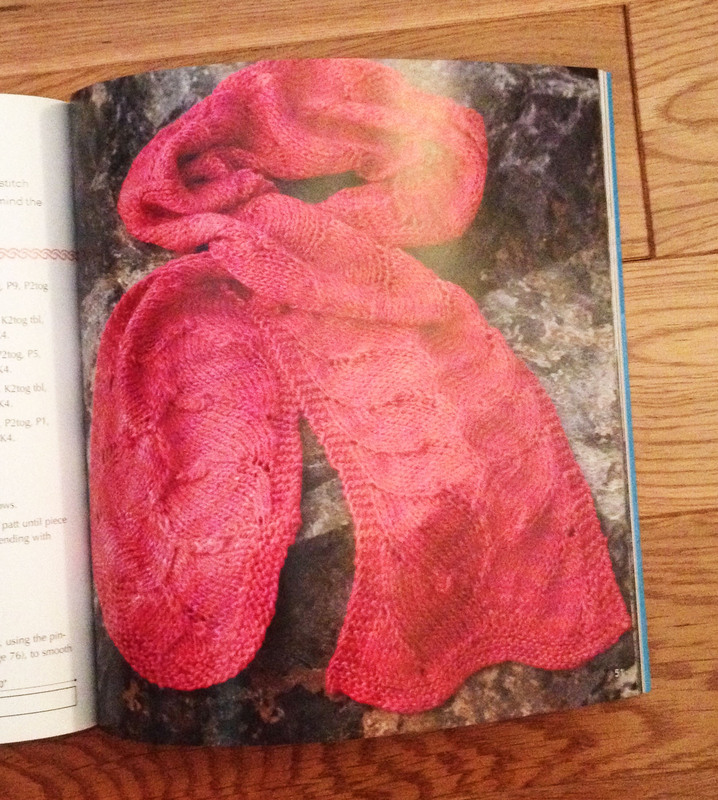 The book is packed with simple info for a knitter who wants to go “beyond the scarf”. The illustrations are very clear and easy-to-follow. The explanations are well-written and organized in a logical step-by-step fashion. For the $19.95 cost, you could learn a ton from this book. OK – now that I’ve told you what I like about the book. Now for the down side. 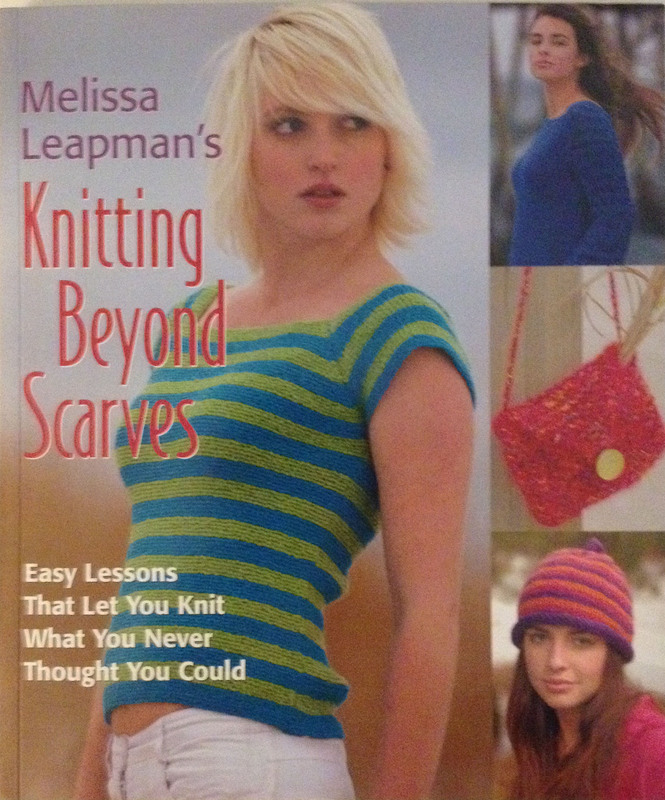 I love Melissa Leapman – her books, her designs and her bubbly personality. 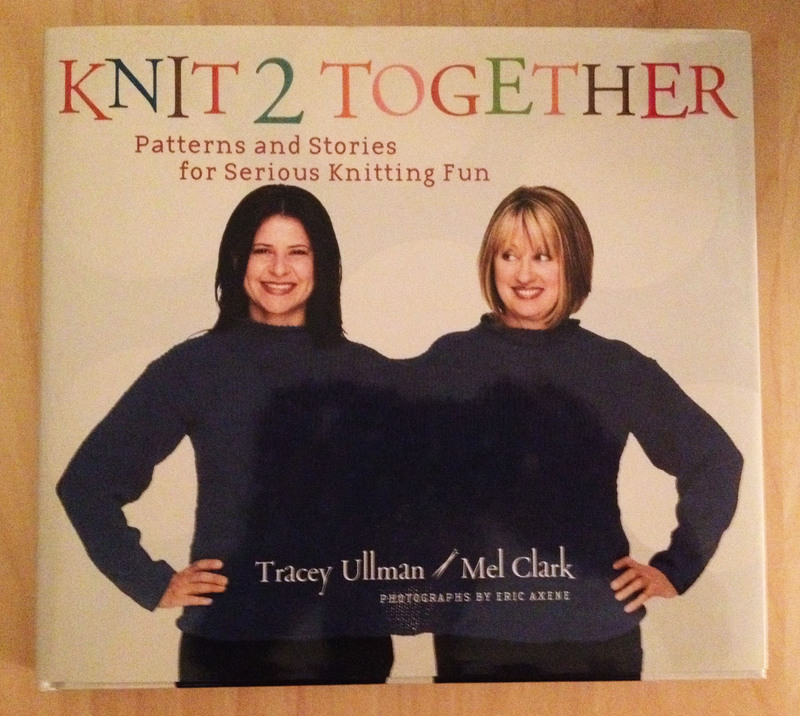 The designs featured in this book are either too simple, ho-hum or really not great. 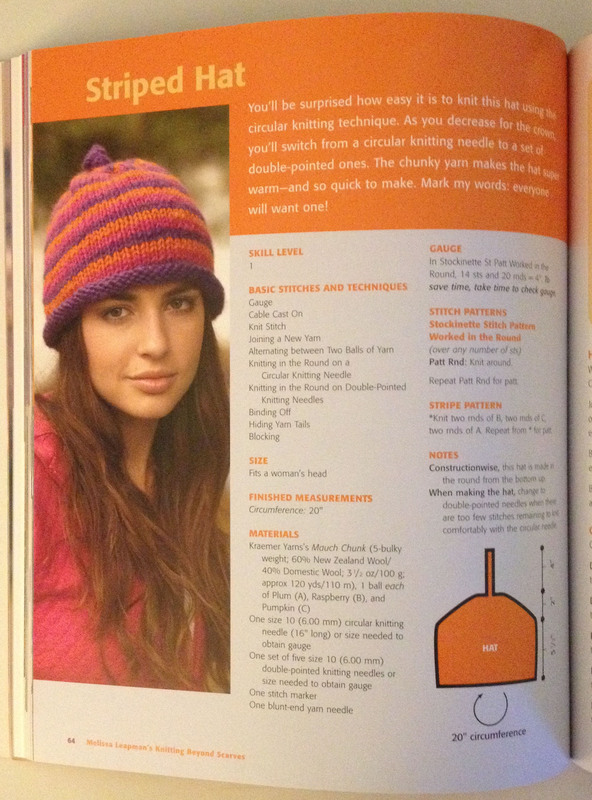 The one design I do like is the striped hat below. It’s adorable. Some of the skirts in the circular knitting and increase and decrease sections miss the mark in many ways. 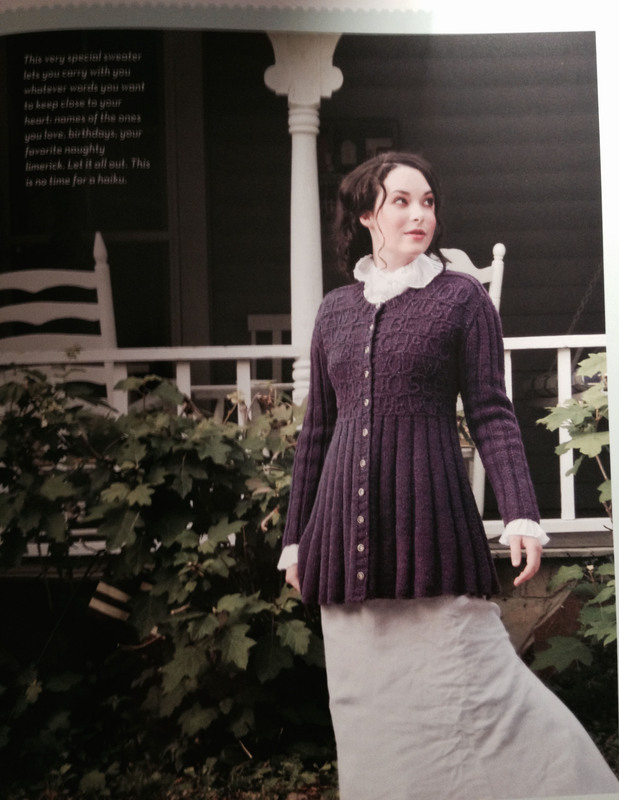 The purple A-line skirt in a novelty yarn doesn’t do it for me. 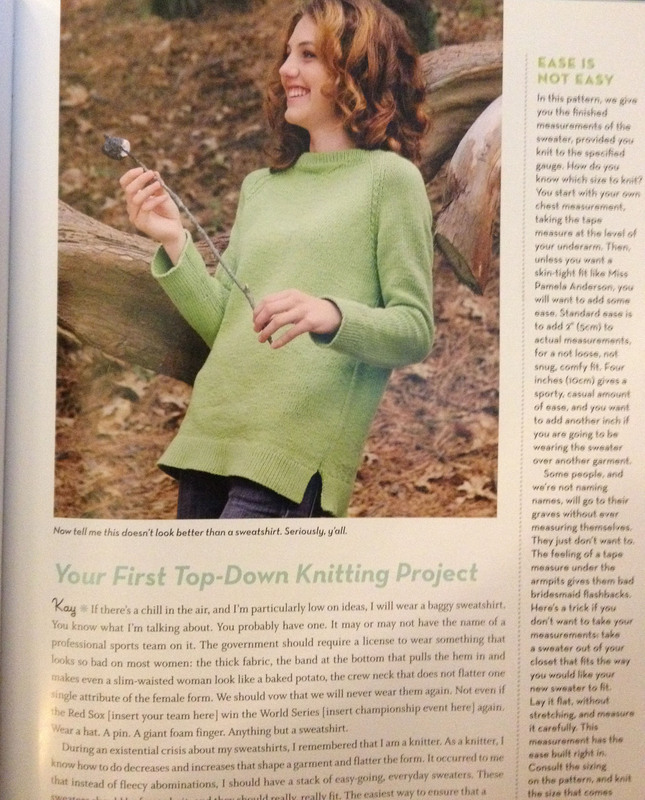 The sweaters and accessories wouldn’t “wow” most knitters I know. I was surprised that the book was published in 2006. 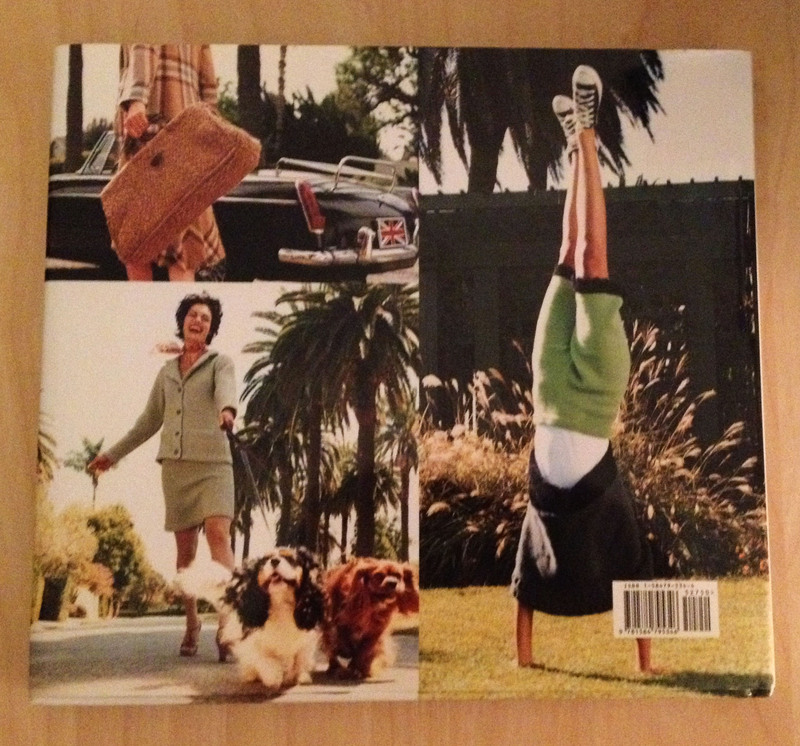 I thought at first glance that it might have been published in the 80’s or 90’s. For someone who wants to learn new techniques and have a “go-to” book to help them along the way, this book is perfect. I feel like it’s not one that I would use and it should have a new home and get off my shelf! I thought this might be a multiple part epic, but once I got past the “The Daily Sweater” I realized that most of the rest of the book wasn’t a “must-have” for me. My final decision: Thumbs Down. It’s going in my sell, give away or donate pile. Yay – one down and out! I will amend that slightly. 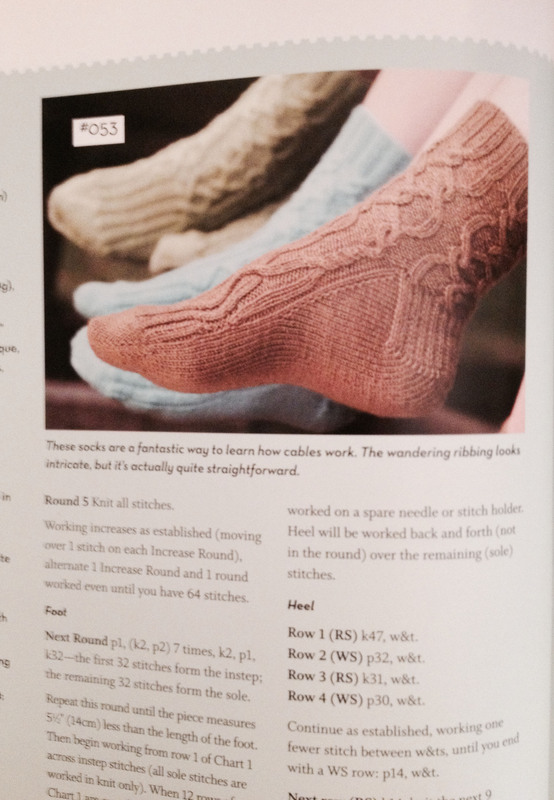 I do like the next knitted cabled sock project. 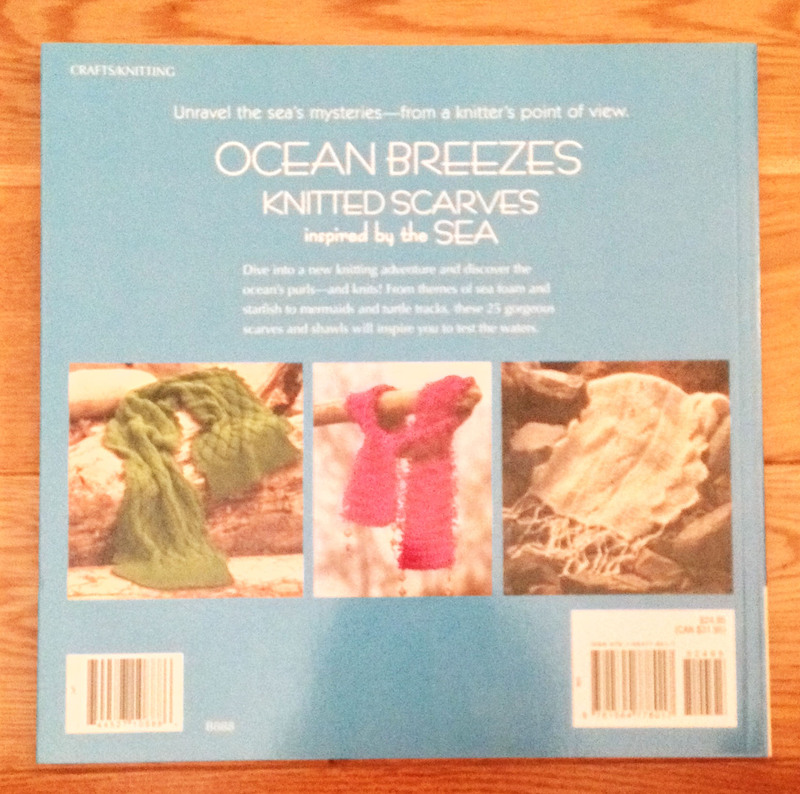 It’s included as a teaching cable project, but seems like a good project for anyone. Might copy this pattern before I move it out of my library. From there it gets a little dicey. Here’s the next project. It’s called “The Mystery Sweater” and features some timeless quotes from Martin Luther King Jr and Gandhi, but knit in a darkish purple the quotes are really hard to read. The most disappointing part is that the lettering is not knit-in, but rather chain stitched on after the sweater is complete. I didn’t think that the instructions on doing the lettering would be easy-to-follow for someone who hasn’t done much or any embroidery. Also, the romantic peplum seems a bit overdone. I don’t know too many people who could carry this off in ordinary life. 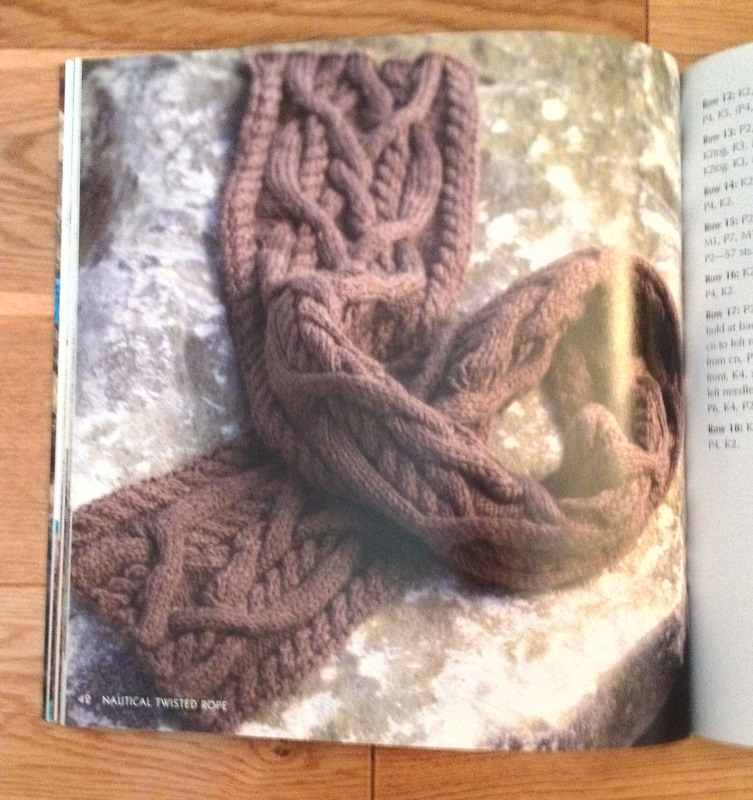 The next whole section is on Fair Isle. The featured project is a throw with a Victorian wallpaper look. Too much work for the result. 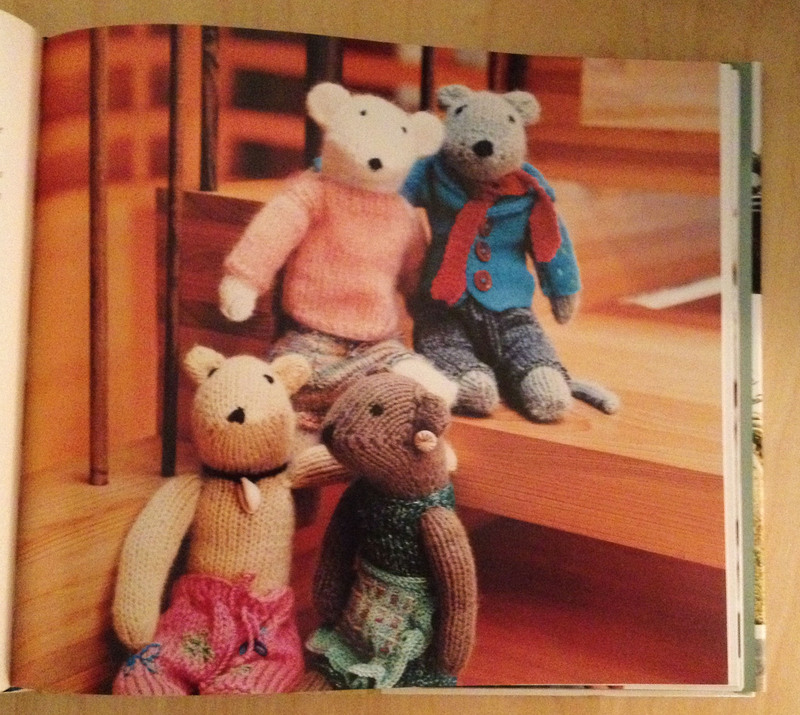 The info on Fair Isle plus illustrations are good, but I’m not going to use this chapter. 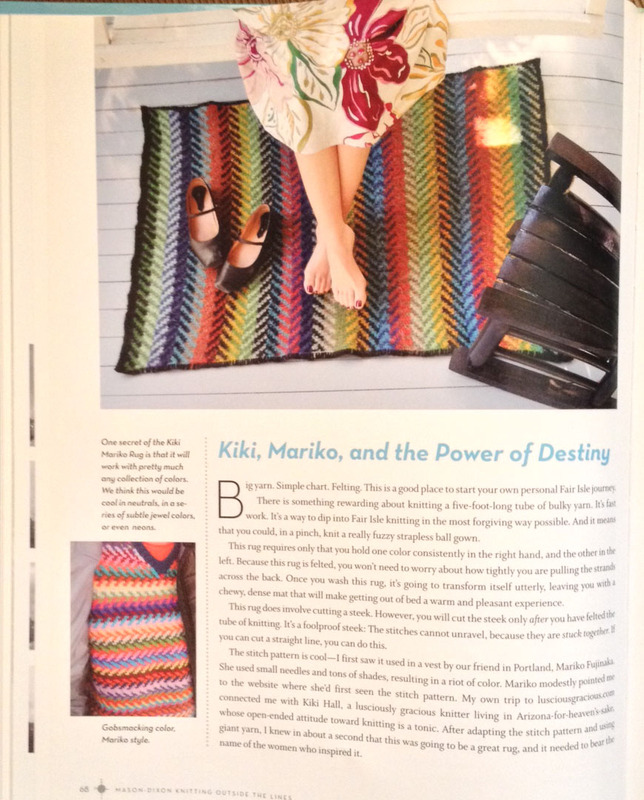 I do like the rug made in Brown Sheep’s Lamb’s Pride Bulky. It’s done in a circular manner and then steeked. No – not for me! 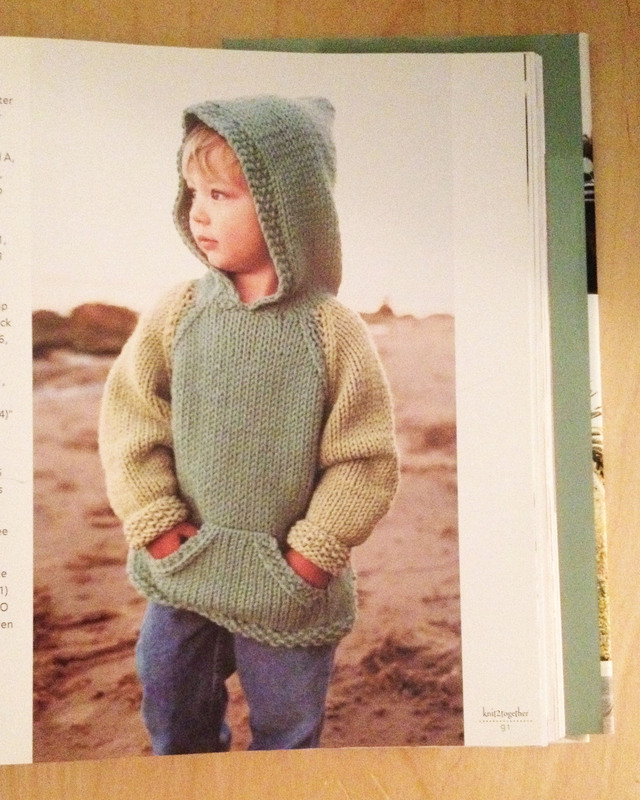 I’m going to skip the whole “Covering The Small Human” chapter. 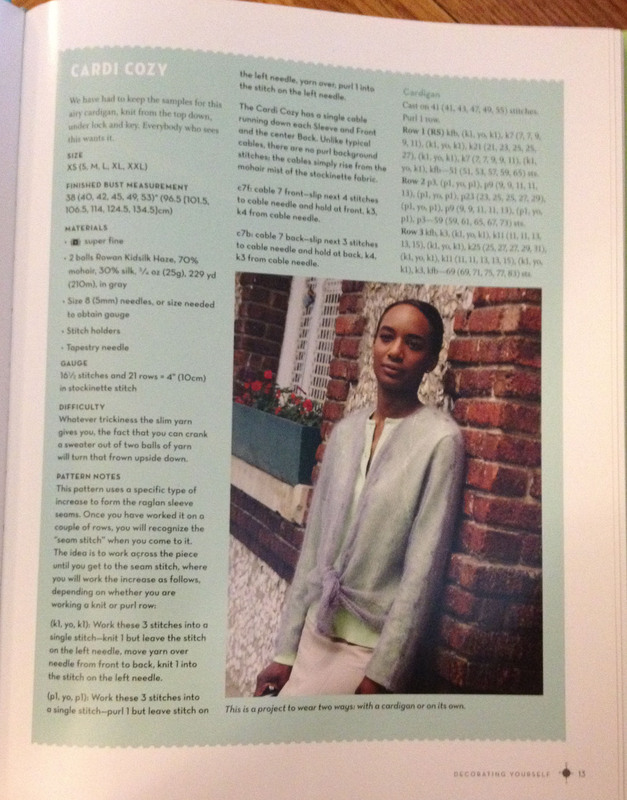 The designs were really not wearable by any child I know, except the Jane Austen Shrug. This is based on the same idea as The Daily Sweater so this must be why I like it. Do these women really have children?? Wow! The last chapter with kitchen items is kind of interesting. 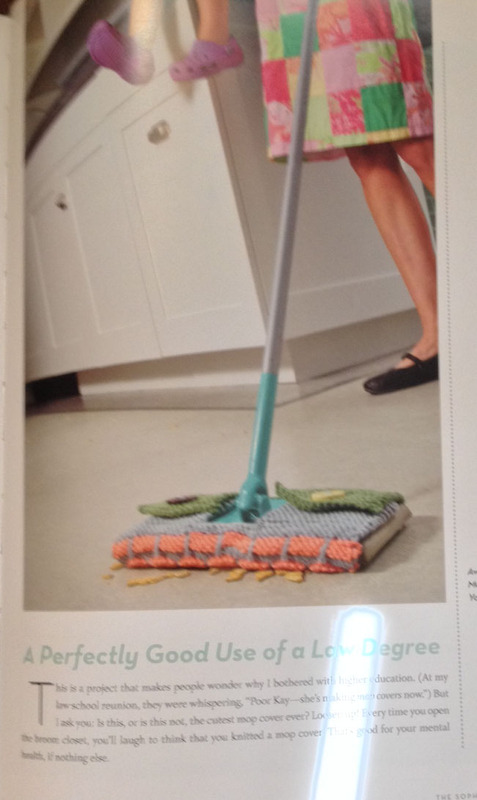 This could be a money-saving duster for those who whip through “Swifters”. It’s done in a matte cotton so it’s perfectly washable. Would I make one – probably not. 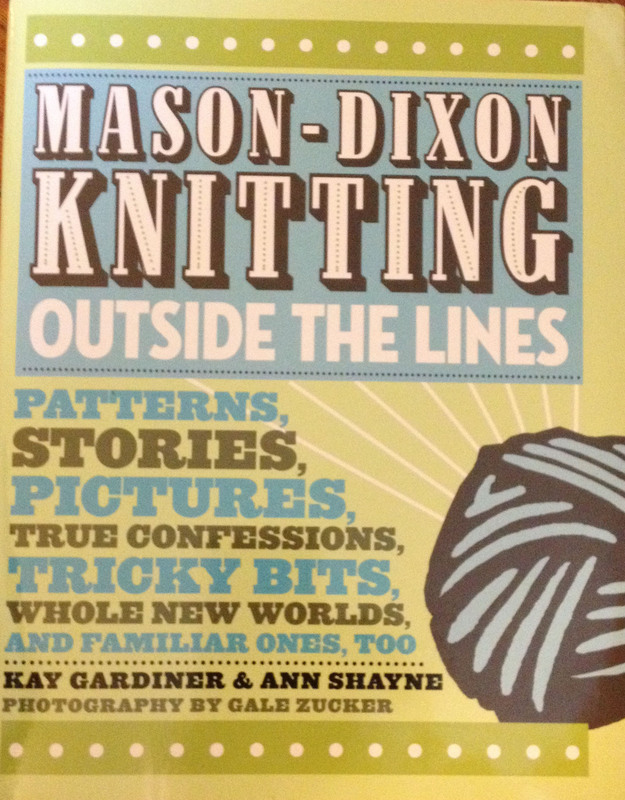 A new book for a new day – Mason-Dixon Knitting Outside the Lines by Kay Gardiner & Ann Shayne (published in 2008). I’ve been reading this book for about a week, but haven’t posted. It’s a rich one with lots of interesting material so I’m reading it in bits and pieces. 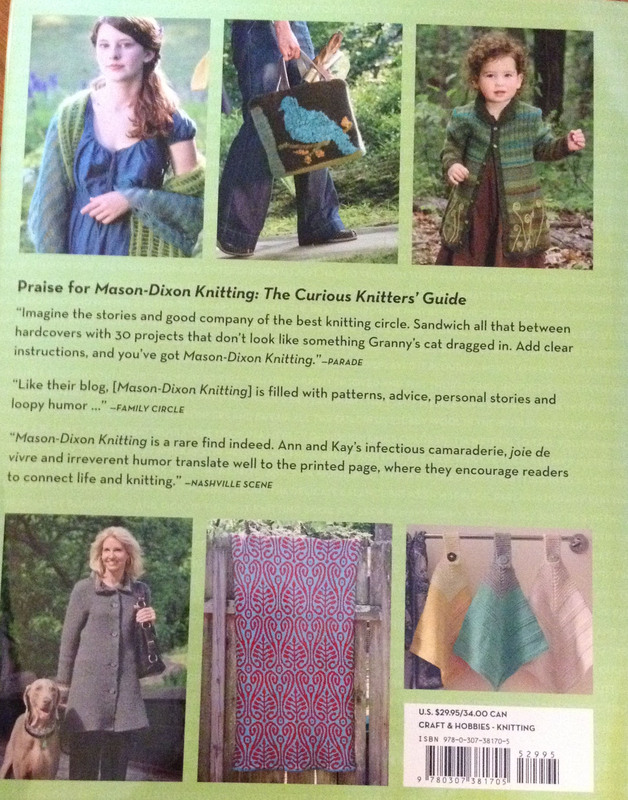 It’s definitely not just another pattern book. It’s going to take more than one pass to get through this one so “Hang On”! I’m already giving this one a thumbs up. What do I like about the book? I love the back and forth banter between Kay and Ann. Each has a point of view and the sum of the two parts equals essays, tips and tricks worth reading. 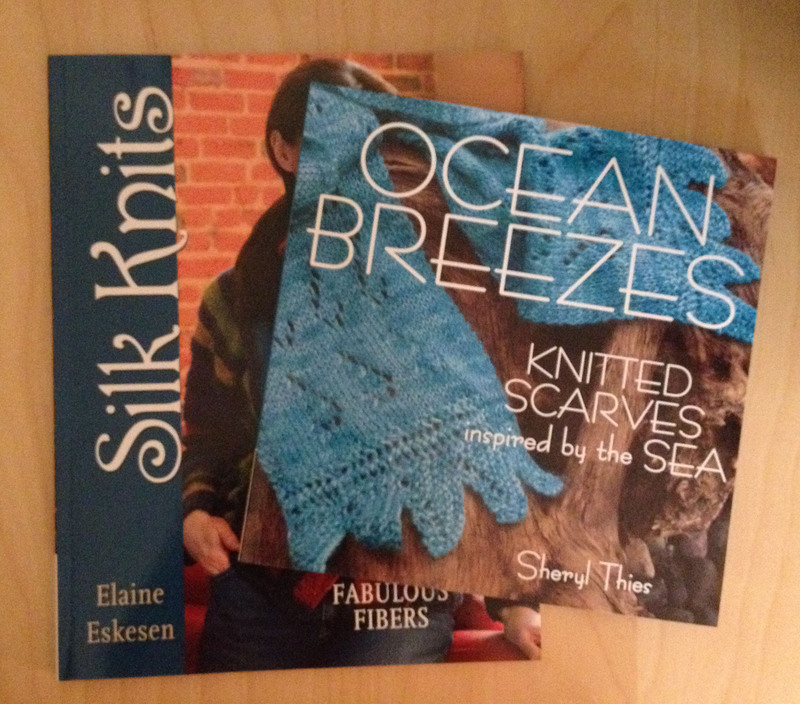 I really like that they begin with their #1 rule – “knitting is spoze to be fun.” Right from the beginning I knew this was worth reading further. I like that the intro tells you that it’s going to be broken down into five sections. I’m only covering a part of section 1 today – Decorating Yourself. The first project is called a Cardi Cosy. The perfect lightweight piece to wear over a store-bought cardigan. Very clever indeed. It can be worn on its own for a more glam look, but the first purpose seems to be ideal for most of us who aren’t often in the glam-wearing arena. 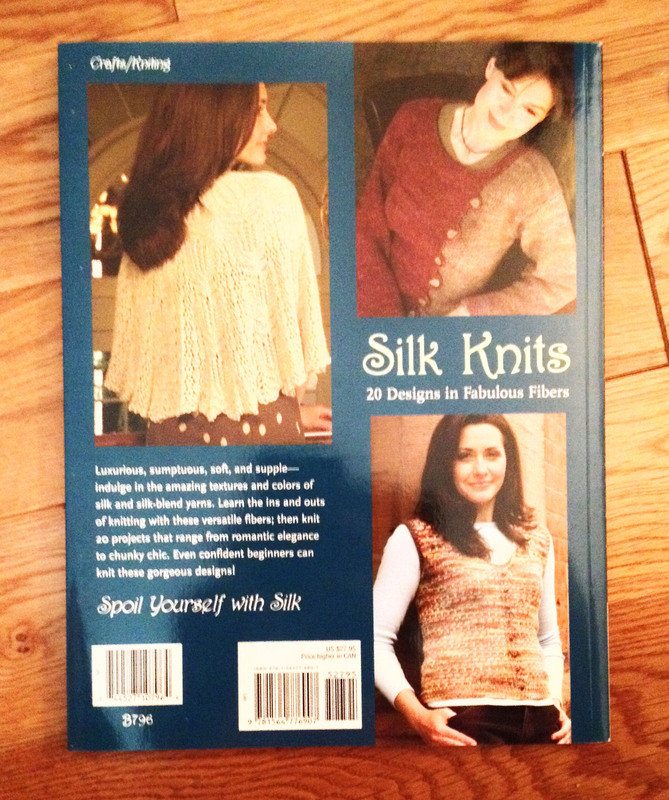 It’s made with Rowan’s Kidsilk Haze – heavenly! The next sweater that I really like is knit from the top-down which offers multiple possibilities and is an easy way to get the correct body and sleeve length. It’s called The Daily Sweater. I take this to mean that it can be worn every day. It’s a knit alternative to a sweatshirt. Kay explains in great detail why sweatshirts are unflattering at best. 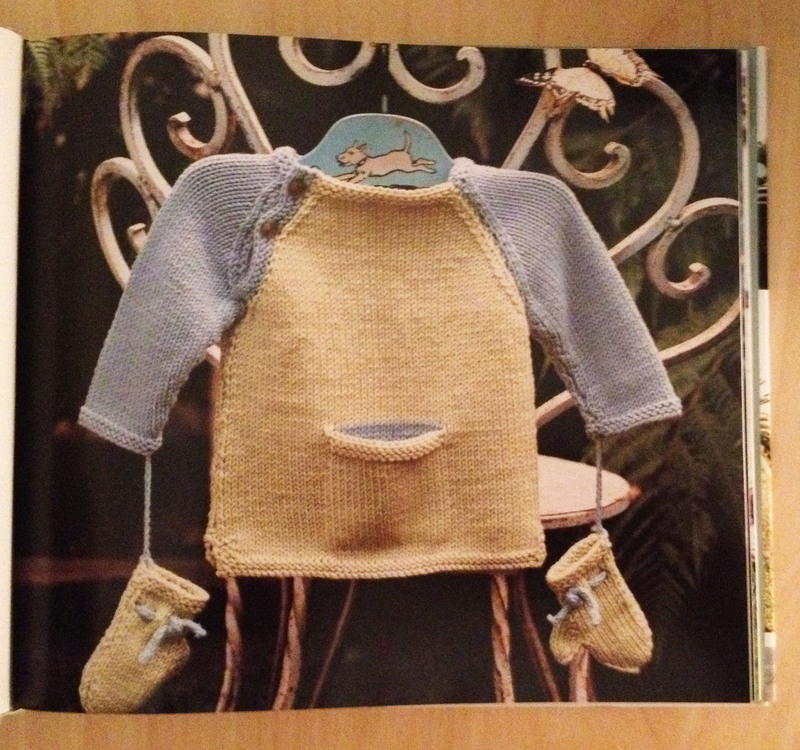 I would be game to knit this one. Well, until I came to this chart. Uh, what can I say about this page. 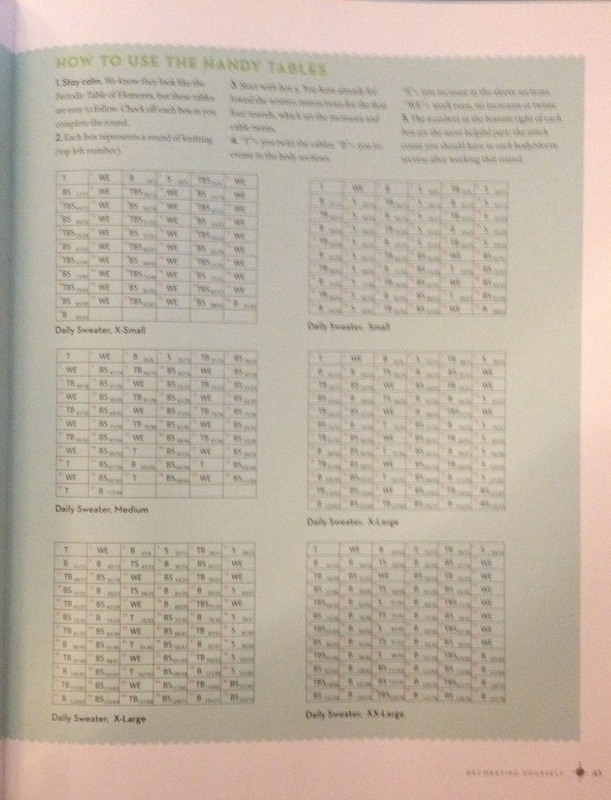 It’s a brilliant way to show a pattern with 6 sizes (I did find one typo – Large is labeled X-Large). 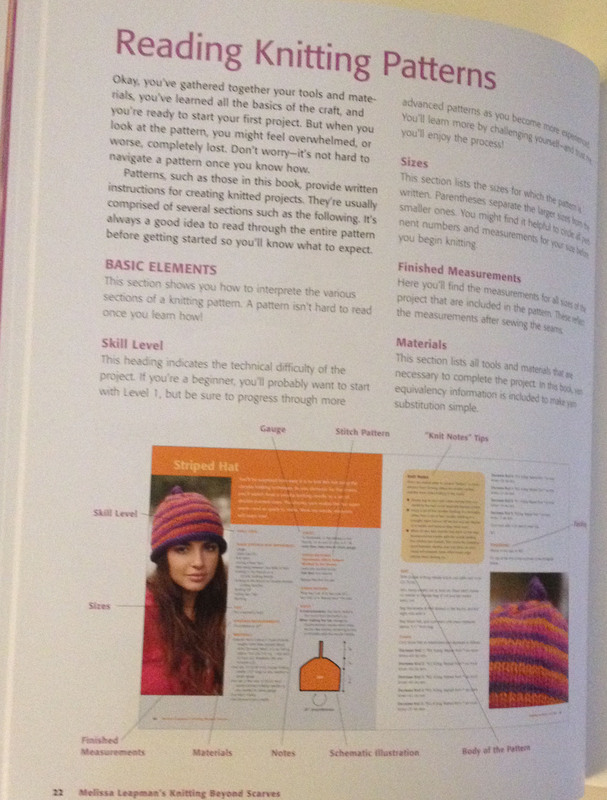 Reading it seems a bit daunting, but I figured that if I was knitting it, the chart would become crystal clear to me. At least that’s the hope! Two other elements of this sweater that I like. 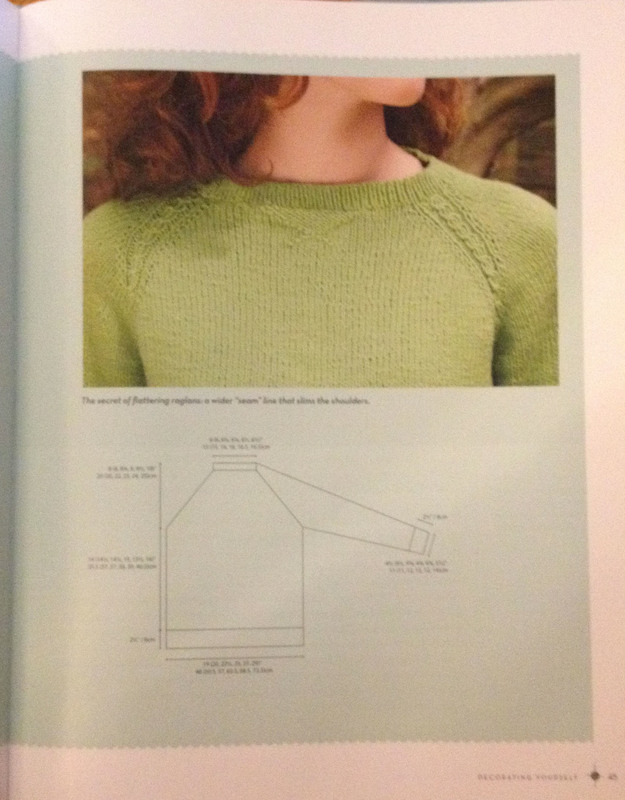 The clever little V purl/knit element at the neckline adds a bit of “sweatshirt” style to the pullover. I also like the clear schematic drawing with the measurements, although a sleeve length from the underarm would be helpful. More about this sweater in my next post!